Note: The version with sleeve positive opening use with pressure PN up to 2 kgf/cm2 (0,2 MPa). Nominal pressure PN 10 kgf/cm2 (1, 0 MPa). Connection to the pipeline - flanges. 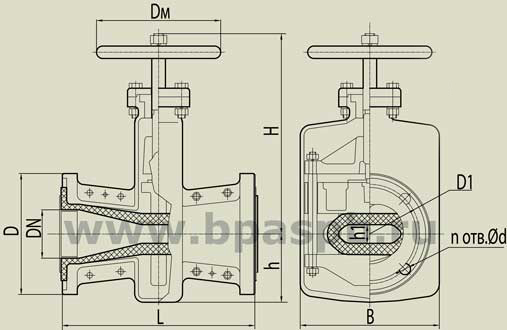 Sizes of flanges of the pipeline - in accordance with State Standard. Low flow resistance factor for DN 50, 80, 100, 125 - 0.6, for DN 150, 200 - 0.4.